There's been a lot of talk in the news recently about a looming shortage of qualified commercial airline pilots. According to Boeing Co., traffic growth, new rules on pilot retirement age, and efforts to combat flight-deck fatigue will combine to increase the number of commercial pilots to 470,000 by 2030 – almost double the existing global workforce. That's a lot of pilots! Our students have gone on to do some amazing things after their training with About Time Aviation! From leisurely exploring the beauty of our nation via airplane to becoming dare-devil stunt pilots, we hear all kinds of stories…and this is the page where we share them for all to enjoy. Update: Nick Reed sent us an email in late February telling us he just got to fly the Air Force's advanced turboprop trainer, the T6A Texan 2! In Nick's own words: "Got to pattern solo the T6A yesterday. It was just like when I did it with you. Few patterns with the IP, drop him off them a few pattern myself. Thanks for helping lay the groundwork, it really has been helpful. Now we'll see if I can remember any of that instrument magic. Hope you're doing well up there!" 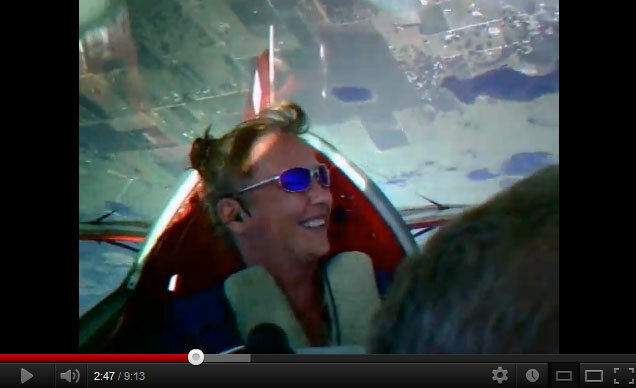 Keep on soaring, Nick! We're behind you all the way! Nick Reed (former Duck football player) is now out of officer training for the Air Force. He is set to leave in mid July for primary flight training in Texas, where he will be flying A T2 turboprop trainer for 6 months. After that he goes to fighter pilot training in a T38. Nick blasted through his private and instrument ratings in about 6 months. He's a little hard to recognize him without the beard, long hair and a giant "O" plastered on his chest, but it was great to see him! 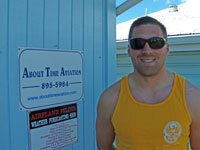 Jim Origliosso earned his IFR rating recently. 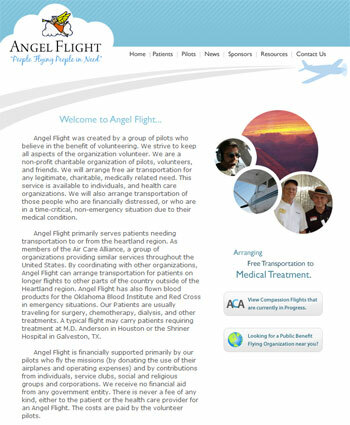 He volunteers with "Angel Flights" taking critically ill patients to medical appointments in his Piper Cherokee 180. Roger Welch is a retired school teacher. He flies frequently as he and his wife enjoy flying for lunch to places like Independence. Roger also has several retired friends that fly with him on a regular basis. Check out "The One Hundred Dollar Hamburger" if you are looking for some great food around the country! After adding his private pilot license, Jason Wilson embarked on a new business venture operating a Pitts S-2B biplane and gives aerobatic rides at Creswell. 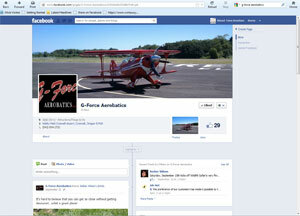 According to his facebook page "An Aerobatic Plane Ride is a great way to spice up your life, have a midlife crisis or give someone you care about an incredibly unique gift that is great for any occasion. Live a dream, buy a ride!" Jason also operates the Sherriff's helicopter keeping the skies (and ground) safe. Kevin Gielish earned his private pilot rating and purchased a nice C182. 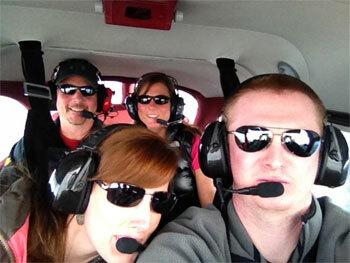 Kevin uses his airplane to reach clients in Oregon. Kevin is also working on his instrument rating – a necessity in Oregon! After earning his private pilot license a few years ago, David Hyland has been flying all over with his friends and family. He learned in a Cessna 150, but has upgraded to a 172 since then. David also loves to play on his boat, fish, hunt, and anything else fun in the great outdoors. He also started Hyland Auto Sales in Springfield, a very sucessful lot that helps people with difficult financing issues. Mary Richardson didn't know she had the bug to fly upside down, but during her early days as a student pilot she knew that's the way a plane should go. Her husband lovingly told her she had to fly straight and upright first though. So after earning her private pilot license, Mary started flipping planes any direction they can go with her mentor Steve Wolf. 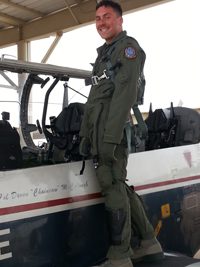 Currently, she is working on amateur EEA aerobatic flight routines and hopes to "compete" in the 2013 season.